areas should be avoided due to accessibility and increased load. * The supporting structure must be able to hold occurring wind and snow loads. * Corner and edge areas are not suitable for collector mounting. * With regard to the maximum snow load, the system's own weight must also be included. * Snow guards on the roof must not be disabled. * Increasing load of the snow guards must be taken into account. hindered and that there is no deformation of the profiles. 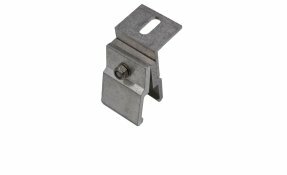 Solarclamp stainless steel for standing seam roofs with long hole 11 x 30 mm. 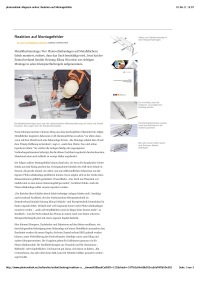 Solarclamp Aluminium for KalZip and Bemo roofs. With long hole 11 x 30 mm. Solarclamp Aluminium Zambelli RibRoof® profile 465 and similar. With long hole 11 x 30 mm. Solarclamp Aluminium Zambelli RibRoof® profile 500 and similar. With long hole 11 x 30 mm. Solarclamp Aluminium Zambelli RibRoof® profile 500 and similar - Klicktop. Solarclamp stainless steel for 525 Domico Domitec and similar. With long hole 11 x 30 mm. Solarclamp stainlees steel for trapezodial roofs. With long hole 11 x 30 mm. 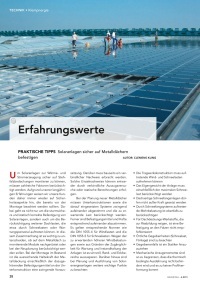 Who mounts photovoltaic plants on metal roofs incorrectly, risks damages to the roof. 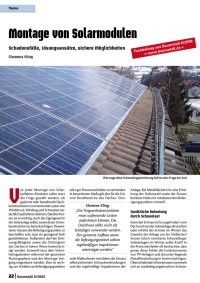 Photovoltaic magazine 1.06.2011.